April 22nd is an important day! Not only is it Earth Day, but in Walt Disney World we’ll celebrate Disney’s Animal Kingdom and its 20th Anniversary. There’s much to celebrate and Disney is doing it in a big way with multiple events celebrating the anniversary. You can’t have a good party without good food, though. 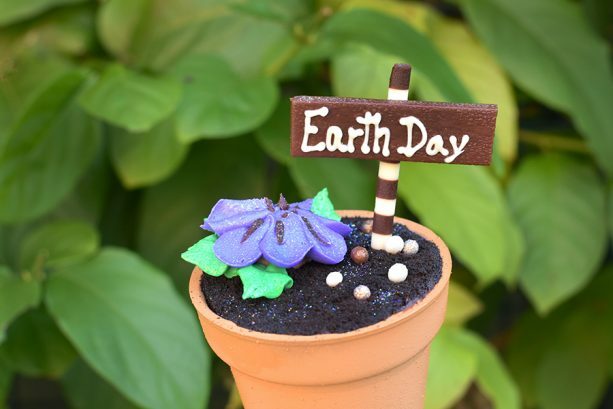 Let’s take a look at all the Earth Day treats being offered to celebrate Earth Day and Disney’s Animal Kingdom. Earth day isn’t being celebrated at Animal Kingdom only; Walt Disney World Resort is celebrating it throughout the parks! Detailed on Disney Parks Blog, there will be new cupcakes, burgers, sliders, and a limited time lunch offered at Tiffins! 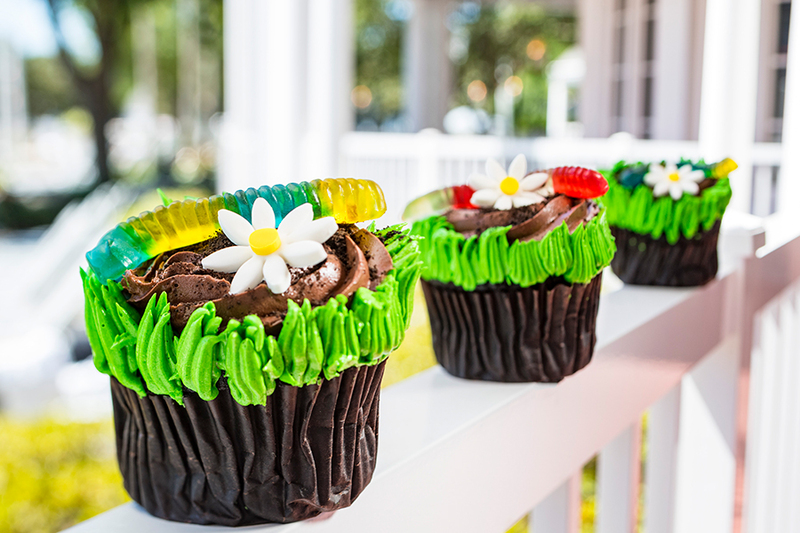 Starting with two celebratory cupcakes, a Tree of Life Cupcake will be available at Creature Comforts and Flame Tree Barbecue, and an Earth Day Cupcake will be available at Pizzafari and Restaurantosaurus. The Tree of Life Cupcake is a vanilla cupcake topped with buttercream and an edible chocolate piece; and the Earth Day Cupcake is a chocolate cupcake topped with buttercream, white chocolate crispy pearls, white chocolate mousse, and an edible chocolate piece. 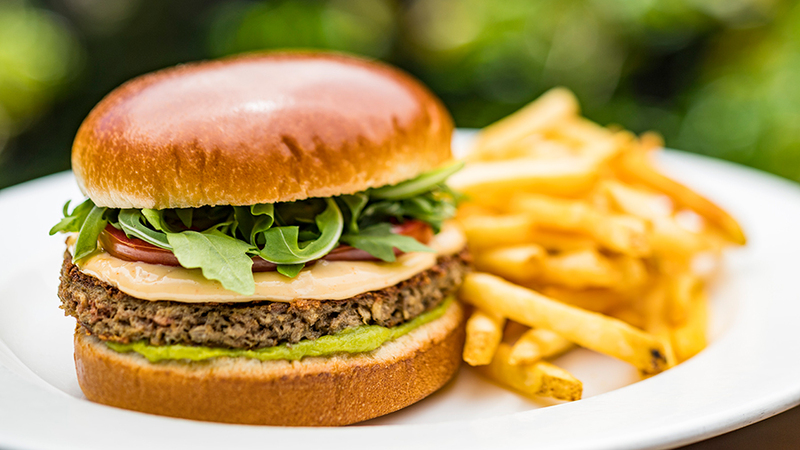 On the savory side, there are delicious plant-based burger offerings at Nomad Lounge and Restaurantosaurus. 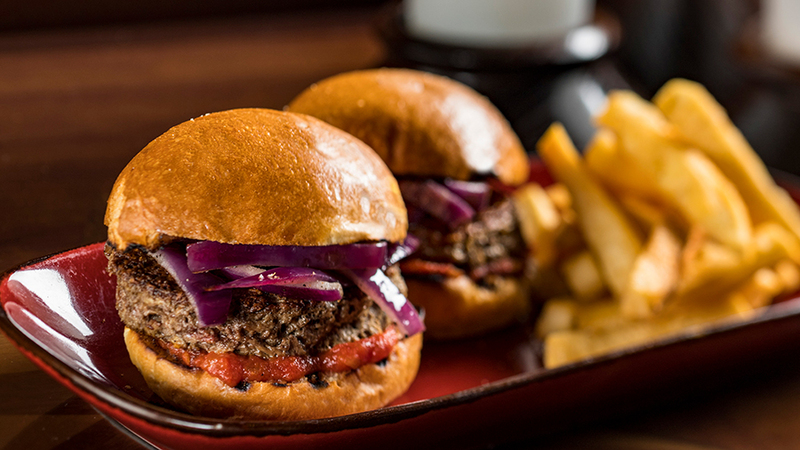 Nomad Lounge will offer Impossible™ Burger Sliders with tomato chutney and smoked onion on a brioche bun and served with yucca fries. At Restaurantosaurus, you’ll find an Impossible™ Burger with avocado and tomato on a brioche bun. Tiffins will offer a limited-time 20th Anniversary Chef’s Lunch Tasting Menu. Served daily from 11:30am to 3:30pm, this 3-course tasting menu celebrates the cuisines of Africa, Asia, and South America. Walk-ups are welcome! All of these offerings will be available during Party for the Planet at Disney’s Animal Kingdom through May 5. 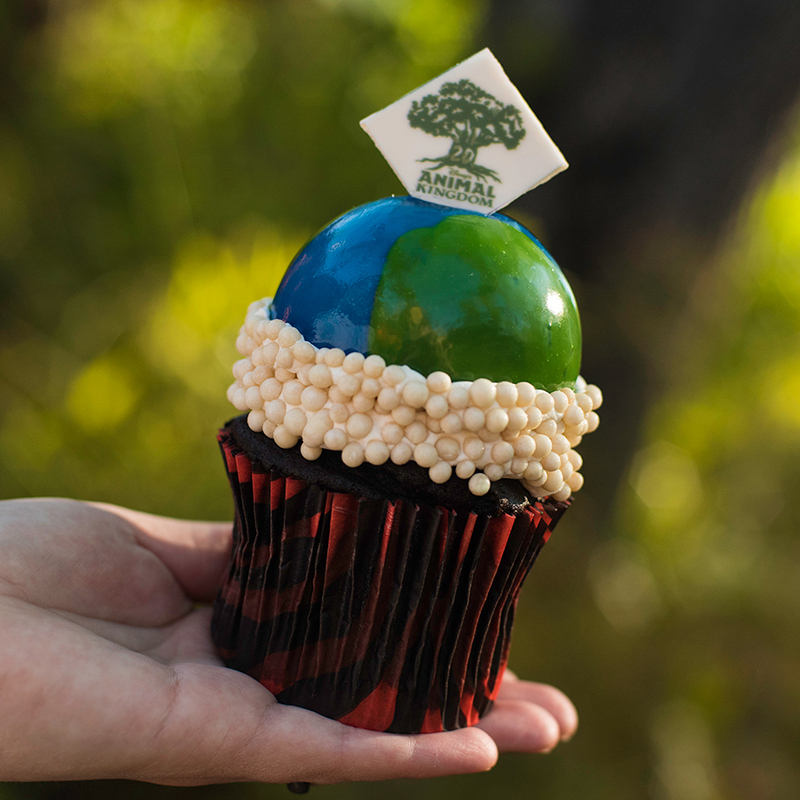 Disney’s Wilderness Lodge will have an Earth Day Cupcake April 19-22 at Roaring Fork. This yummy chocolate cupcake is filled with cookies and cream filling and topped with vanilla buttercream, cookies and cream crumble, chocolate rocks, and an edible garden. Disney’s Contemporary Resort will have an Earth Day Cupcake at Contempo Café only on April 22. 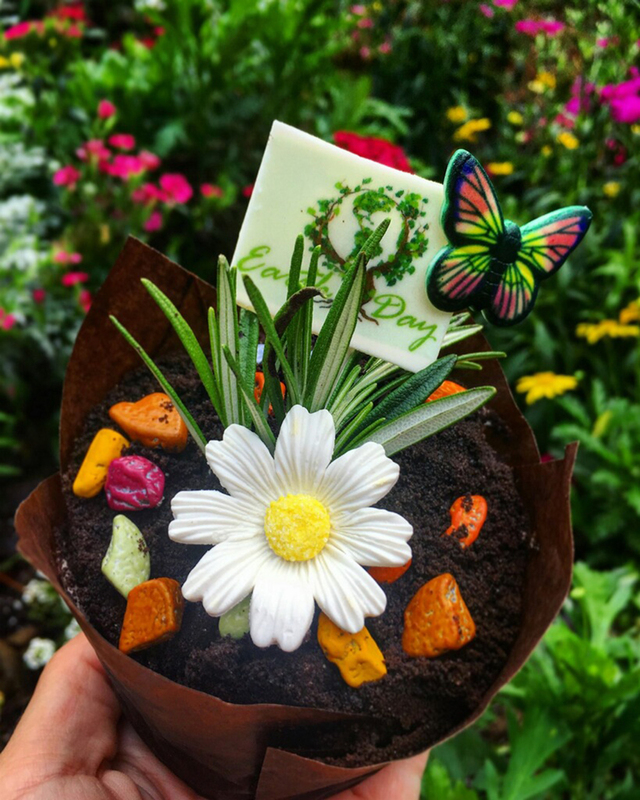 This chocolate cupcake comes in an edible chocolate flowerpot is filled with chocolate pastry cream, chocolate buttercream, and chocolate cookie crumble and topped with a buttercream flower and a chocolate Earth Day sign. Over at Disney Springs, Amorette’s Patisserie will be offering up a cute little cactus on a stick April 22-28! 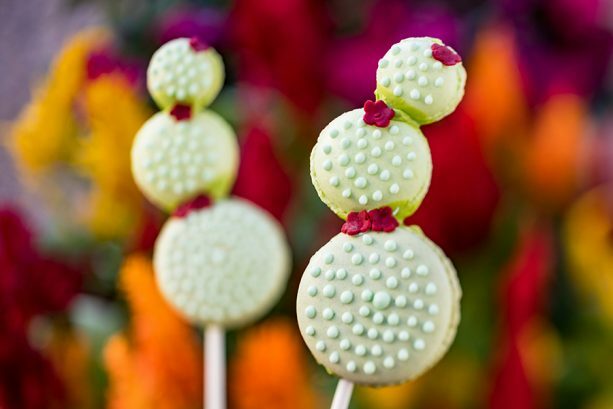 This Cactus Macaron Lollipop consists of three French macarons filled with pistachio ganache and topped with icing. It’s even served on a stick for on-the-go enjoyment! These treats will only be available for a limited time to celebrate Earth Day and Disney’s Animal Kingdom, so make sure to grab them while you can! We’ve been keeping you up to date with all the offerings happening to celebrate Disney’s Animal Kingdom 20th Anniversary, and with it a couple days away and as of this post, there’s still a couple dates available to sign up for Tiffins Talks! You will have an intimate dining experience that allows you to try specialty food and beverages accompanied by animal and conservation expert speakers! It will also feature someone who had a hand in creating Disney’s Animal Kingdom as we know it and love it today. Registration closes today. 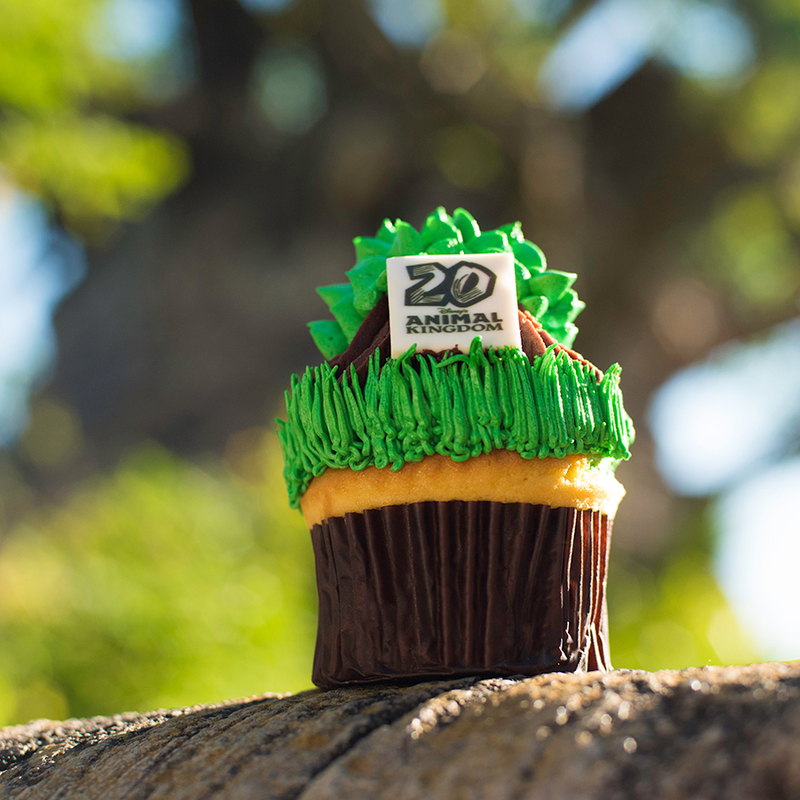 April 22, 2018 marks two decades since the opening of Disney’s Animal Kingdom® Park, and WDWCelebrations is celebrating at the Walt Disney World® Resort! WDWCelebrations events bring together Disney fans to celebrate park milestones while enjoying each other’s company during group meals, group rides, and a fun interactive game. 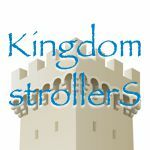 Registration for the event is now open at WDWCelebrations.com and a tentative schedule is posted as well. But hurry, registration closes TODAY!